Lekkerland – a group with many facets and a clear goal: We want to be “Your most convenient partner” for our customers and contribute to their success with our tailor-made services. It is our vision to be “Your most convenient partner” for our customers. We want to be the best partner they have. To achieve this, we rely on our three enablers agility, entrepreneurship and clarity. We offer tailor-made products, concepts, services and solutions to meet the needs of our customers and end consumers in Europe. We act quickly and proactively. We try out new things and drive innovation. We come up with ideas – and rapidly put good concepts into practice. The commercial success of our customers is what drives us. We want to be successful in the long term – and get better and better. Our customers can fully rely on us at all times. We systematically pursue our guiding vision of being “Your most convenient partner” for our customers – and everyone knows how and what they need to do to achieve this goal. that’s what we want to be for our customers. Every day. In everything we do. We make our customers successful. Because we’re the specialist for on-the-go consumption. 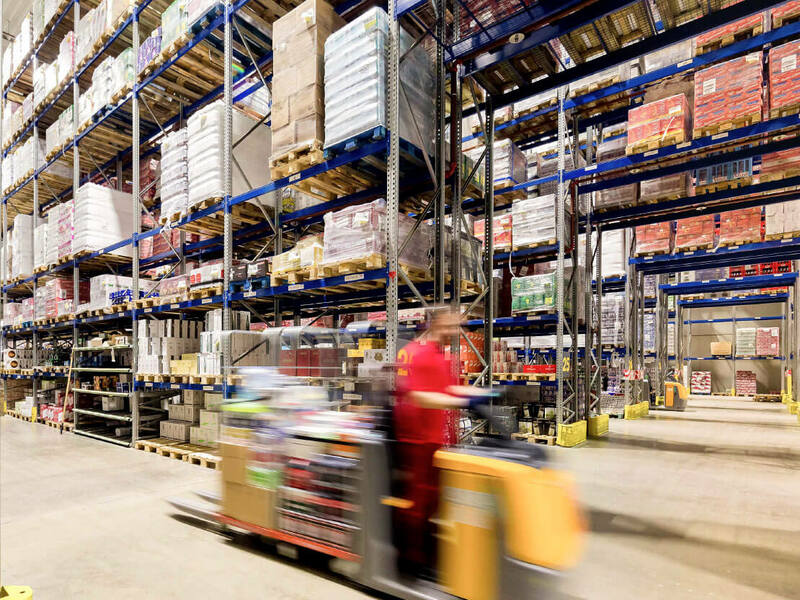 Our innovative services, tailor-made logistics and a broadly-based wholesale product range make us the expert, committed and reliable partner for our customers in many countries of Europe. Our focus is on the needs of our customers and consumers. We – that is the team of Lekkerland and Conway. With six countries, 4,800 employees and 91,000 points of sale, our logistics, wholesale and retail enablement portfolio knows no boundaries. Whether in Austria, Spain or Switzerland, customers everywhere appreciate our high quality standards. Lekkerland Germany was founded in 1960 as a merger of various confectionery wholesalers. 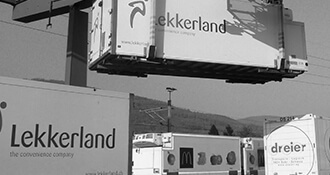 Today, Lekkerland Deutschland GmbH & Co. KG, with a turnover of 7.6 billion euros (2017) and 2,647 employees, is the largest national company in the Lekkerland Group and offers its customers a wide range of products, flexible logistics and tailor-made services. Lekkerland Deutschland supplies tobacco products, food-to-go, non-food products, beverages, electronic value and much more to around 57,200 points of sale. Customers include petrol stations, kiosks, convenience stores, bakeries, food retailers and quick service restaurants. The Lekkerland Group has also been active in Austria since 2005. Lekkerland Handels- und Dienstleistungs AG Österreich supplies over 3,500 sales outlets with a full range of confectionery, beverages, snacks, convenience ranges, fresh products, telephone cards and non-food items. The company has 152 employees and achieved sales of 113 million euros in 2017. Lekkerland has been represented in Switzerland as an independent company since 2004. Lekkerland (Schweiz) AG supplies and services around 3,400 sales outlets - mainly petrol station shops, railway station shops and motorway service stations. The range includes confectionery, food, beverages, fresh and ultra-fresh products, non-food, pet food, drugstore articles and tobacco products. In 2017, the company achieved a turnover of 658 million euros. In Belgium, the Lekkerland Group is represented by Conway The Convenience Company België. As a wholesaler, Conway Belgium supplies 5,500 retail outlets with sweets, fresh products, beverages, tobacco products and telecommunications products. 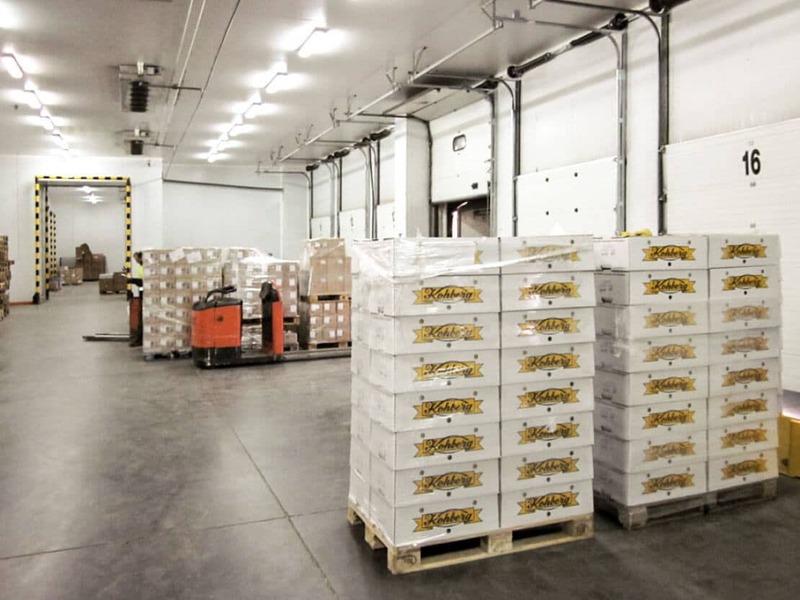 The frozen food business is in the start-up phase. Conway Belgium has 391 employees and achieved sales of 1,520 million euros in 2017. The system gastronomy experts of the Lekkerland Group are based in Spain. 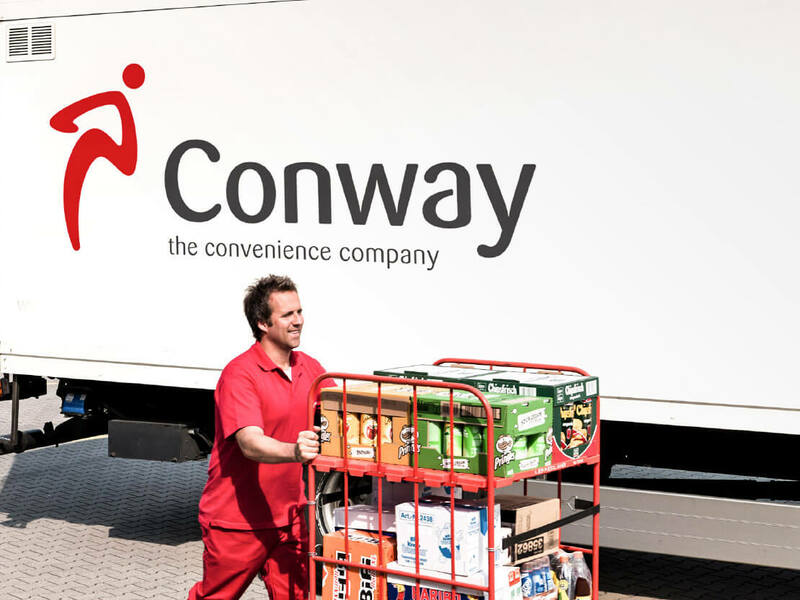 Conway S.A. is a full-service partner for all distribution channels in the food service and system gastronomy sector and achieved a turnover of 521 million euros in 2017. The wholesale company's product range includes chilled, fresh, frozen and dry foods, confectionery, beverages, snacks, non-food, tobacco and telephone cards. In October 2017, Dr. Jochen Großpietsch (41) joined Lekkerland as Chief Supply Chain Officer and has been responsible for logistics, quality, facility management and digitisation since then. Patrick Steppe has worked for Lekkerland for 18 years, and since 2016 he manages the Lekkerland Group and all its subsidiaries as Chairman of the Board of Management. The 51-year-old is responsible for Strategy, Business Development, Sales/Marketing, Purchasing, Category Management, Human Resources (HR) and Communication. Since 2013, Dr. Edgar C. Lange has headed the finance department of the convenience expert. The 54-year-old is responsible for Finance, Controlling, Treasury, Legal, Auditing, Risk Management / Internal Control System (ICS), IT and Mergers & Acquisitions (M&A). On all sales channels. Europe-wide. In addition to Lekkerland AG & Co. KG and the six national companies, the Lekkerland Group also includes other strong subsidiaries, shareholdings and brands. Each partner supports us in delivering perfect logistics solutions for our customers. How? You can read it here. Convivo is a 100% subsidiary of the Lekkerland Group and our specialist for private labels in the convenience sector. With more than 40 years of experience in the market, convivo develops our strong private labels and private label solutions for the group – from the initial idea to the finished branded product. In addition to product and packaging development, convivo’s tasks also include the supervision of the complete brand registration process, the market launch of a new product and quality control. The successful convivo brands include Take Off, Santa Emilia, Dominikaner and Durstlöscher. Convivo’s tasks also include the marketing of our private label products within the entire Lekkerland Group and the support of the respective local sales department with appealing marketing and information materials relating to the convivo range. Get to know Tinneke Gies, Managing Director of convivo, here (Link Career Case) and read more about her career path in the Lekkerland Group in her field report. 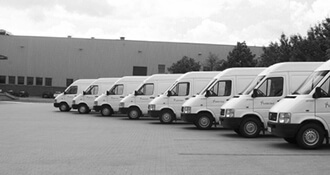 amv GmbH is a non-food specialist based in Munich and a subsidiary of the Lekkerland Group. The company’s diverse product portfolio includes branded electronics, audio books, books, gifts, sunglasses, purses and souvenirs. The products of the enterprise are represented at over 4000 gas stations in Germany and Austria. Cofact is a 100% subsidiary of Lekkerland AG & Co. KG and takes over the settlement of invoices between Lekkerland and its suppliers. The central settlement of invoices enables Lekkerland to work efficiently with a focus on its convenience expertise and the business of our customers. What digital services do we want to offer our customers? How can we make ordering processes even simpler? Which technologies and tools best support Lekkerland employees in developing tailor-made concepts and solutions for our customers? Within the Lekkerland Group, Lekkerland information systems GmbH – or “Lis” for short – deals with these questions. The company is based in Frechen near Cologne and is a 100% subsidiary of Lekkerland AG & Co. KG and the full service IT service provider of the group. In addition to developing digital solutions for customers and employees, Lis is also responsible for the operation of Lekkerland’s entire system and software landscape. The IT experts of the Lekkerland Group always work closely together with all business areas such as logistics, purchasing and sales and jointly develop modern IT solutions. Would you like to know more about the Lis? Here you will find a field report of our colleague Christian Kaufmann. For over 40 years, the Lekkerland subsidiary TRIMEX has been responsible for the import of Scandinavian food products and for the general procurement of articles that are relevant for border trade. TRIMEX trades over 2000 articles from the assortment modules confectionery, food, beer, soft drinks, spirits, wine, sparkling wine and pet food. 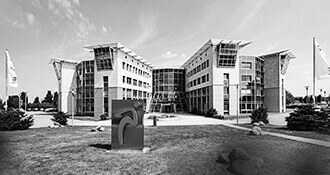 The Flensburg-based company cooperates with many well-known national and international suppliers. 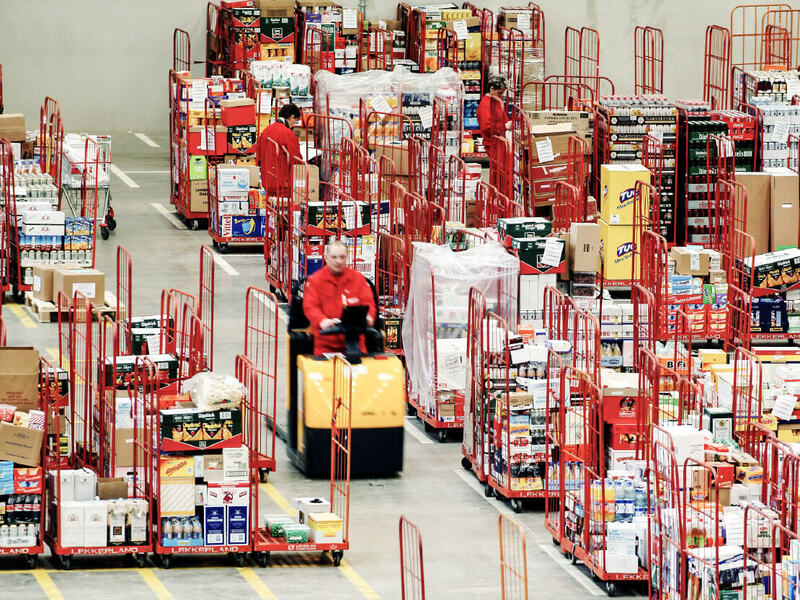 The TRIMEX warehouse, including an excise warehouse for spirits, beer and intermediate products, covers around 10,000 square metres and is located in Neumünster, in the heart of Schleswig Holstein. e-va: three letters – a variety of prepaid offers. e-va, an abbreviation for “electronic value”, is a brand of the Lekkerland Group and covers the entire prepaid range of the convenience expert. Whether reload credit, SIM, payment or gift cards – under the umbrella of e-va, Lekkerland offers vouchers and credit balances from the most popular providers and online stores at its points of sale in Europe. The e-va assortment is available at over 30,000 petrol stations in Germany alone. From Amazon to Douglas to the Vodafone credit, Lekkerland offers you the widest range of electronic value products. And that’s not all: Lekkerland creates the technical infrastructure for its customers so that they can also offer the high-turnover e-va range in their shops. We provide displays and coupon cards and develop new coupons together with you. We can provide you with the entire prepaid package from a single source! Lekkerland has developed and implemented a trend-setting convenience format for petrol stations under the Frischwerk brand. The shop concept combines innovations with best practice elements and focuses on a positive customer experience in the shop. This is achieved, among other things, with a modern and fresh shop atmosphere, the integration of a complete bakery and a spatial separation of the food service area from the classic fuel area. The concept is currently being tested at various locations in Germany and was named “Shop of the Year” by a trade magazine at the beginning of 2018. The industry association NACS is also convinced of Frischwerk and selected the innovative shop format 2017 with the „International Convenience Retailer of the Year Award“. “What can I gift to you?” – e-va schenkt helps! First and foremost, there is one thing behind e-va schenkt (meaning e-va gifts): a great idea! Anja and Katrin, two Lekkerland staff members in the e-va department, have dealt with a problem surrounding giving and developed a creative solution. Because vouchers are the Germans’ most popular gift – but giving a voucher does not feel particularly original. e-va therefore makes vouchers personal through creative packaging and giving much easier! Pictures say more than words when it comes to the many gift ideas associated with e-va products – and can be found in large numbers on the Instagram channel of e-va schenkt. TAKE OFF has been an established energy drink brand in the convenience segment for 20 years. The second most popular liquid pick-me-up has been specially designed for sale in petrol stations and continues to enjoy unbroken popularity throughout Europe. The success is given due to its pleasant energy drink flavor in combination with its reasonable price compared to A brands. In 2018, the design of the brand was completely revised – for improved visibility and a high recognition value. TAKE OFF is available in four flavours in different packaging sizes – from the 0.33 l can for on the go to the 1 l party bottle. The Lekkerland Group has a long tradition that began in the Netherlands in 1956. Several independent confectionery wholesalers merge to form a group with the name Lekkerland – in order to be able to supply their customers even better and faster. Only four years later, ten wholesalers sign the founding document of Lekkerland Germany. Their business: the supply of confectionery – primarily for petrol stations. At that time there was little to be guessed of fresh products in petrol station shops, the shelves were firmly in the hands of chocolate bars, gummy bears, sweets & Co.
Over the next decades the company grew internationally – Switzerland, Austria, Spain and Belgium were added as national companies. What began as a merger in Germany and the Netherlands now develops into a transnational group of companies – with changes in corporate law: in 2007, the German business and the holding company are separated. The holding company becomes today’s Lekkerland AG & Co. KG, which forms the umbrella for all national companies. In the following years, the food service sector becomes increasingly important in all Lekkerland companies. The aim is to bring fresh products to the shops for a quick and tasty snack-to-go and to meet the needs of consumers with suitable products and services. 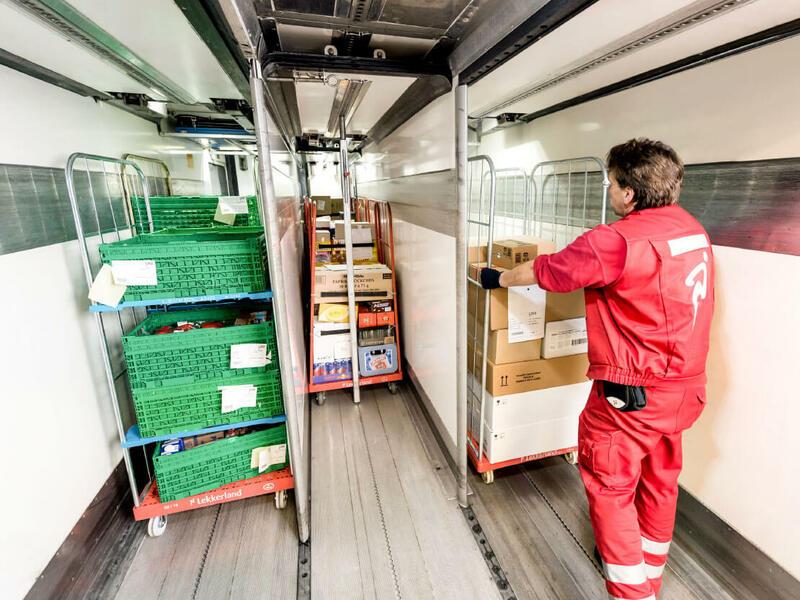 Lekkerland Deutschland is awarded the German Logistics Prize of the Bundesvereinigung Logistik (BVL) in 2013 for its successful fresh and frozen food logistics concept. 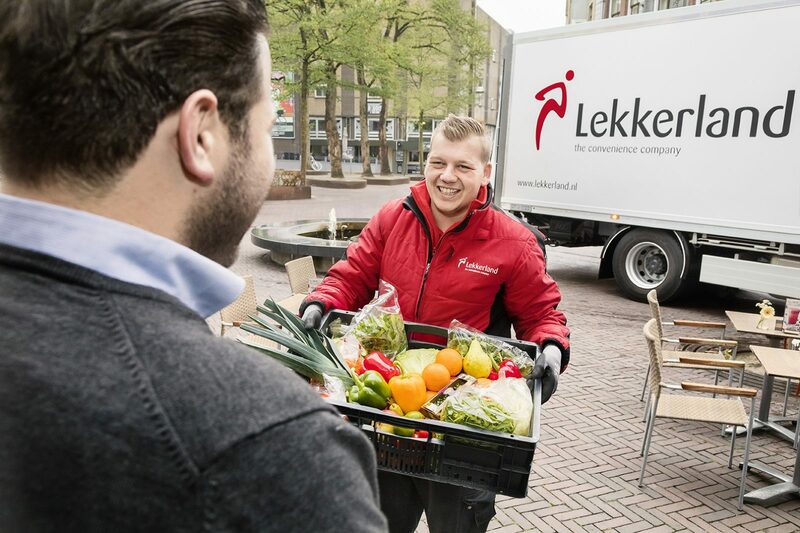 One year later, the Lekkerland Group rolls out the concept of multi-temperature logistics in all national companies. In 2012, the entire group of companies jointly develops a new strategy. “Convenience 2020 – Agenda for Success” accompanies Lekkerland to this day and sets the company’s development direction. In 2017, the growth strategy was adapted to the constantly changing customer needs – the focus is on the customer experience: a central success factor for Lekkerland and its customers. Lekkerland’s aim is to make working with customers at all contact points as easy and convenient as possible for them – in short: to be “your most convenient partner” for your customers. Do you have anymore questions? Just ask us.